Project Spark, one of the amazing projects Microsoft showed off at this years E3 is almost ready. a beta registration page has now opened up. You can go here to sign up for the beta for Xbox one and Windows 8. 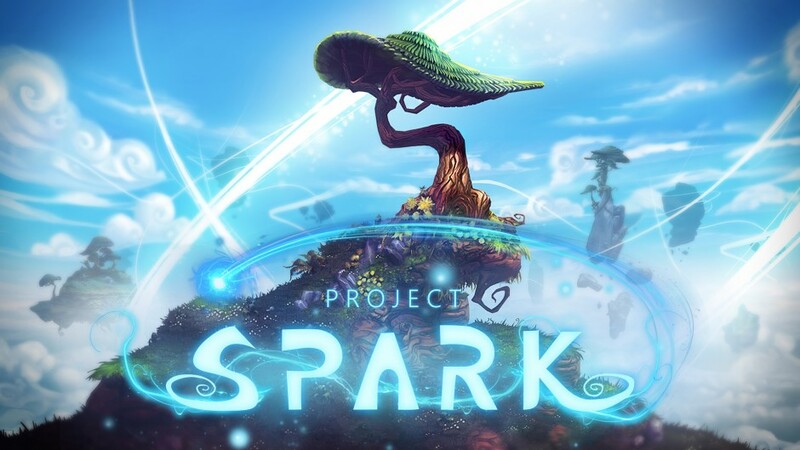 “Project Spark” is an open-world digital canvas that enables anyone to build, play, and share whatever they can imagine. It’s a powerful, yet simple way to build and play your own worlds, stories, and games. Share all of your creations to a dynamic community, and play what the community makes. “Project Spark” brings creation to life and presents endless opportunities for play. Here is some of the Q&A with the team. Project Spark” will be available to download for free on Xbox One, Xbox 360 and Windows 8. What opportunities do free-to-download offer that aren’t available in conventional retail games? Henry Sterchi: “Project Spark” was conceived around letting everyone bring their imagination to life, so we wanted as many people as possible to play it and share their creations with the world. With the community being a central part of the experience, the more people that get involved playing, creating, inspiring each other, and even showing off their skills, the better. User creation is the cornerstone of “Project Spark.” What are some of the coolest things players can create, and what are some of the crazier possibilities that you envision the community will explore? At the highest level, the coolest thing people can and have been creating is the unexpected. We just continue to find new things and possibilities and it’s such a fresh experience where you never know what people will make next and it’s basically endless. When we first got the touch controls running, one of the testers showed up with a fully functional synthesizer that recorded back your play. But, one of the coolest things I’ve seen is that we had a team member build a game they always wanted to make since they were a kid. It was this awesome early 90’s style RPG where you’d go around a town and talk to NPCs that would give you new quests and such. They had tons of dialogue to tell a story they’ve always wanted to tell. You could acquire a sword and find this cool hidden land filled with bad guys below the town. Seeing someone really pour their passion into something and make their once impossible dream come true was really inspiring. The craziest thing I’ve seen so far was a nearly full length “buddy cop” style movie with stunts and boat chases and action scenes. I kept watching it laughing, it was so off the wall. I just don’t know where the community will take things, but I know there will be so many new things and unexpected things – and that’s super exciting to me. How is Kinect functionality being integrated in “Project Spark”? We aren’t talking in details right now around Kinect, but as you saw in the Media Briefing; you can use the voice recognition to create. Just being heard like that with the game responding is an awesome experience. There are a lot of possibilities, but we will release more details in the future. Written by: Hyde13 on June 24, 2013.